This chapter aims to describe pragmatic clinical trials and how they differ from traditional explanatory trials in terms of validity, design, and setting. We discuss the defining principles of pragmatic clinical trials and how they are vital in moving psychiatric research forward to the development of better-informed treatment choices for patients and providers. We describe the Patient-Centered Outcomes Research Institute (PCORI), their tenets, and how they are a large funding source of pragmatic trials and clinical effectiveness research. 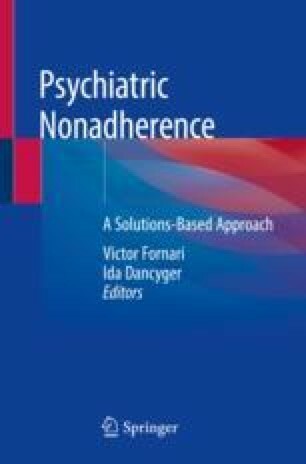 We highlight two pragmatic clinical trials in the field of child psychiatry as a way of showcasing how pragmatic clinical trials can help in shared decision-making and solve the dilemma of psychiatric nonadherence. Patient-Centered Outcomes Research Institute (PCORI). (Posted: September 10, 2014; Updated: March 27, 2017) Retrieved from https://www.pcori.org/about-us/our-story. Accessed 26 Aug 2018. Star neuroscientist Tom Insel leaves the Google-spawned Verily for…a startup? Wired. https://www.wired.com/2017/05/star-neuroscientist-tom-insel-leaves-google-spawned-verily-startup/. Accessed 26 Aug 2018.